class="page-template-default page page-id-10577 wpb-js-composer js-comp-ver-3.6.12 vc_responsive"
ITEM – Folksinger Michael Johnathon loves what people have come to know as “roots” music. It’s Bill Monroe and Keb Mo, Ralph Stanley and Bela Fleck, Sam Bush and Jerry Douglas, Loretta Lynn and Brandi Carlile. It’s banjos and guitars, fiddles and mandolins, harmonicas and ukuleles. And that is the goal of his wildly successful WoodSongs Old-Time Radio Hour, to present the multi-media expression of America’s music. Produced 44 weeks a year at the historic Lyric Theatre in Lexington, Kentucky WoodSongs airs on over 500 radio stations, American Forces Radio Network in 173 nations and every military base on earth, millions of homes on PBS affiliates from Los Angeles to Vermont and twice each week on the national RFD TV Network. When Johnathon created the show in a tiny studio off Broadway in Lexington with just 12 people in the audience and only one station airing it, he wondered if Lexington could give birth to a new century “Grand Ole Opry” type show, in the tradition of A Prairie Home Companion, Louisiana Hayride and others. Now he knows. The answer is Yes. The WoodSongs broadcast has been officially added to the legendary 650 AM WSM as a weekly two hour block beginning November 11, premiering a new broadcast every Sunday at 7PM (CST) and then a WoodSongs classic show at 8PM. The 50,000 watt clear channel station, the radio home of the Grand Ole Opry, is one of the most prestigious broadcasters of music in American history. 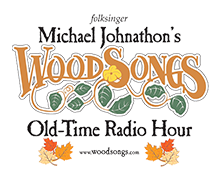 WoodSongs is also being added to the Americana Route 650 streaming channel. Some of the attractions of the WoodSongs broadcast is that it is more than just a media concert, it is a music and conversation show. Another fascination of WoodSongs is that it began and remains all-volunteer run. 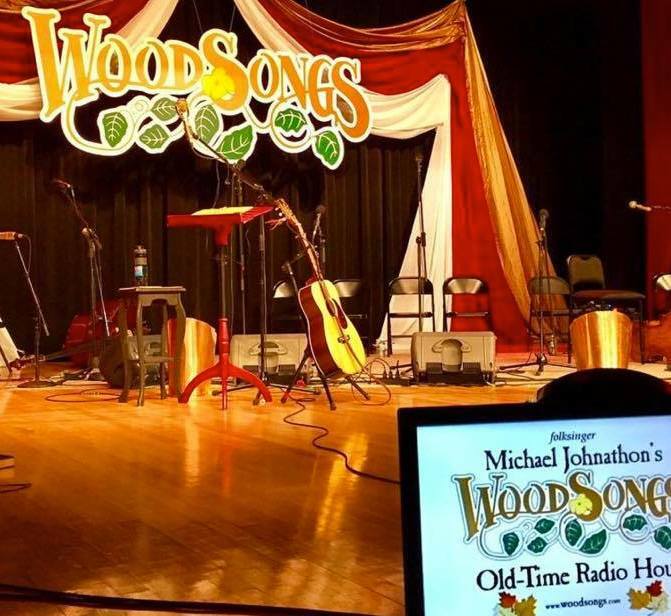 As it nears the production of its 1000th broadcast taping, WoodSongs has presented knowns and unknowns from Tommy Emmanuel to Mark O’Connor, Lee Ann Womack to Elle King. Because of a uniquely designed education program that makes WoodSongs available to schools with lesson plans thanks to a partnership with the University of Kentucky, it is the only nationally syndicated broadcast to feature kid performers on every show. “You don’t have to be famous, you just have to be good,” is Johnathon’s introduction on every broadcast. WSM is heard in many part of the country at 650 AM, or anywhere in the world online at WSMonline.com.